This Coconut Oil Chocolate Fudge looks gorgeous and it has so many great benefits, but I’m going to warn you, this is not like the Creamy Chocolate Fudge I make at Christmas for my family and friends. By looking at the picture above, you might think that. And this is good, but it’s not the traditional taste that you would expect. It’s very oil-based, and it will taste that way. It tastes great, actually–I love it! But it’s different. 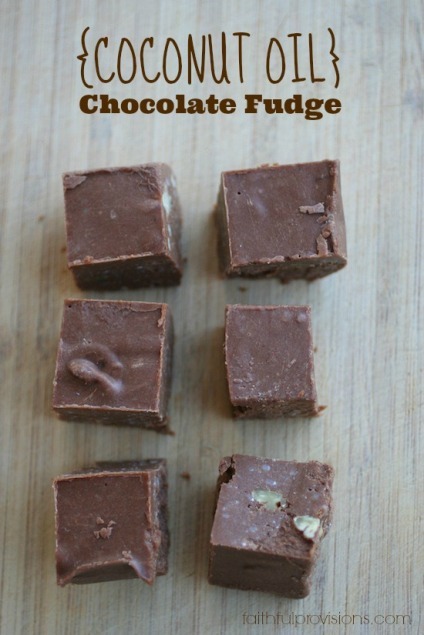 I’ve found that this Coconut Oil Chocolate Fudge is a great way to curb my sweet tooth after a meal. I’m getting that sweet taste and texture but I’m also getting my coconut oil intake. I try to get 2-3 tablespoons of coconut oil every day because it’s so great for heart health. There are tons of great benefits of coconut oil, including that it helps support your immune system, stimulates metabolism, improves digestion–I could go on and on! Coconut Oil Chocolate Fudge is vegan, dairy-free, gluten-free, and sugar-free. We use raw honey. If you need it to be nut-free, just leave them out, but they add a flavor that really makes these wonderful. Nuts give you those great omega 3’s and they taste great too. I prefer pecans or walnuts, but you can use whatever is your favorite. Remember, this is oil, so I strongly encourage you to eat in moderation. Too much may cause digestive issues! Put milk and coconut oil in a stand or hand mixer and mix for about 5 minutes or until well combined. Add remaining ingredients except for nuts. Mix well until well combined. Refrigerate for at least 20 minutes or until firm. Cut into small pieces and transfer to a zipper bag. Keep in refrigerator. 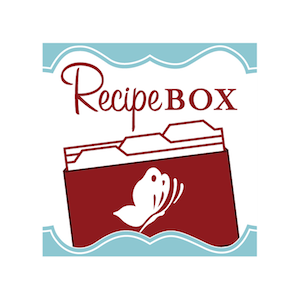 Find more great dessert recipes in my Recipe Box! Do you think almond milk would work as a sub for coconut milk? Probably, but the coconut milk is thicker and creamier, and gives the coconut flavor. Let me know how it turns out with almond milk. Yummm thanks so much for sharing this recipe looks delicious, I’m making some today! Would love to hear how you like it and how it turns out for you! When you use coconut oil how do you measure it? Because it is more solid then say EVOO do you measure the thicker amount as cup or do you warm it up to liquidfy it more and then measure a cup? Thx always wondered. I measure the thicker amount as a cup. You do not want to warm this up, then you can’t whip it in the mixer! It’s not vegan if it has honey in it! You’d need to replace the honey with agave or another vegan sub. Just made this and it separates when refrigerated! Tried re-mixing, still the same problem. So sad, was so looking forward to some fudge. Korina, I am not sure what happened! Mine worked great, there was a tad of separating, but not completely. Maybe next time put it in the freezer, so it cools quicker? Korina, that is so weird. What kind of coconut oil and milk are you using? Just normal coconut oil and milk. I use them for lots of recipes. The coconut oil is from Banaban and the coconut milk is my supermarkets own brand. I have no idea what the problem is. When you make it it is really watery before you pop it in the fridge? Mine was. It just doesn’t seem to emulsify properly. No, mine isn’t watery when I pop it in. 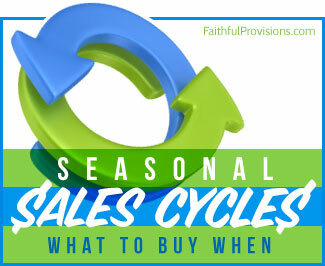 Are you in a hot climate? Wonder if that has anything to do with it. Did you use canned coconut milk or the cartons? We use canned, maybe that made the difference. I am so sorry I can’t help you on this one. Canned coconut milk is VERY different than the coconut milk that comes from a carton. Canned (pure) coconut milk is super calorie and fat dense, and has the texture of thick cream and/or is partially solid (sometimes it’ll separate, with about half the can being solid and the other half liquid, depending on how it’s stored). I’d imagine that using a liquid (ie, coconut milk that’s been processed and diluted with water) would create fudge that is watery, while using a solid (pure coconut milk from a can) would create much firmer (and appropriately textured) fudge. Emma, I completely agree! I think it tastes BEST and has the smoothest consistency with a canned coconut milk. Merryn, I don’t blame you! I wouldn’t want to either, but I am so sorry it didn’t turn out for you either. It worked really well for me and many others I know who tried it. I used Tropical Traditions Coconut Oil, and canned coconut milk, if that helps you out. How much chocolate do you use? OMG, these turned out soooo good!!! I seriously thought I would never be able to enjoy fudge again due to my refined sugar and dairy allergy! Your recipe proved me wrong. Mine did separate a little, but it was good, kinda made it saucy. I think it was due to not being mixed thoroughly, since i just mixed by hand, not with a mixer. My landlord said that this is better than fudge because it is not as heavy. I am definitely going to make this again, maybe for the upcoming holidays!!! I have to say mine doesn’t look anything like yours either. The consistency and color are off. Did you use canned coconut milk? I used just the solid part in the can. Holy cow!!!! Best fudge I’ve ever had!!! !